Securing a major event at the Melbourne Convention Bureau requires detailed research, planning and teamwork. 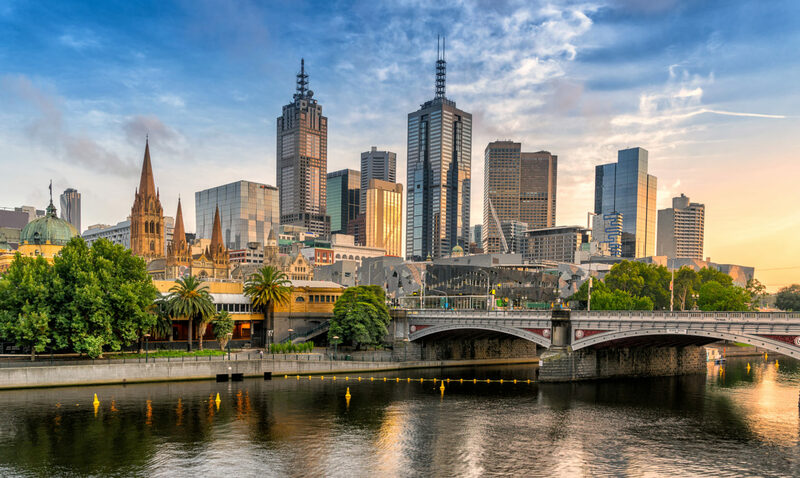 Rotary International, an international service organization made up of 1.2 million members, invited our client, Melbourne Convention Bureau (MCB), to submit a bid as a potential host for their 2023 International Convention. With more than 45,000 attendees coming from around the globe – including world leaders, industry executives and humanitarians – the annual Rotary Convention represented an enormous opportunity for us. In the meetings and conventions world, a firsthand site visit is critical and we needed to manage the experience from pre-arrival to departure. We quickly formed a committee, and three months of planning went into ensuring every moment of the four-day site visit would be a success. The Rotary’s director of meetings, along with two staff members and three board members, conducted the site inspection. Throughout their tour of Melbourne, we created special experiences tailored to their interests and needs. Our first goal was to arrange their smooth arrival into Melbourne on Qantas. We had a customs agent meet them upon arrival, and our team was outside the baggage claim area to extend a warm Aussie welcome. After a few hours of rest, we escorted the Rotary site team to the Melbourne Cup at Flemington Racecourse. It was the final day of one of the world’s most famous horse races, and it was a thrilling way to experience a unique Melbourne event. We reached out to members of the Rotary District Governors of Victoria, as well as representatives of local Rotary chapters from New South Wales, Queensland and South Australia, for an engaging presentation. They shared many success stories of Rotary in Australia and explained what the 2023 convention in Melbourne would look like to the community. During a special tour of Melbourne’s amazing streets and laneways, we shared more local history and insights into the Rotary’s contributions to the city. A thorough site inspection included the convention center, as well as several key hotels and venues for potential off-site events – including meeting a local zoo owner! Having done our due diligence, we knew that three of the Rotarians were fanatical tennis fans, so we set up a meet and greet with a Melbournian tennis champion at the Tennis Grounds of the Rod Laver Arena. We were also sure to give the Rotary team an opportunity to experience all transportation options throughout Melbourne, including cruising along the Yarra River and riding the free tram accompanied by the Lord Mayor. On the final day, the Lord Mayor presented the Rotarians with a key to the city and extended a formal letter of invitation welcoming the Rotary International Convention in 2023. In return, the Rotary site team presented the Lord Mayor with a Rotary International plaque and commented on how impressed they were by all that Melbourne has to offer. As a testament to our hard work, they shared that they had never encountered a better site inspection. We were thrilled when the MCB was awarded the Rotary International Convention in 2023. It’s the largest convention ever booked in the state of Victoria and is anticipated to generate AUD $110 million in economic impact. It’s a true success story and one that required due diligence and detailed communication among our team and with our clients and local partners throughout Melbourne and beyond.